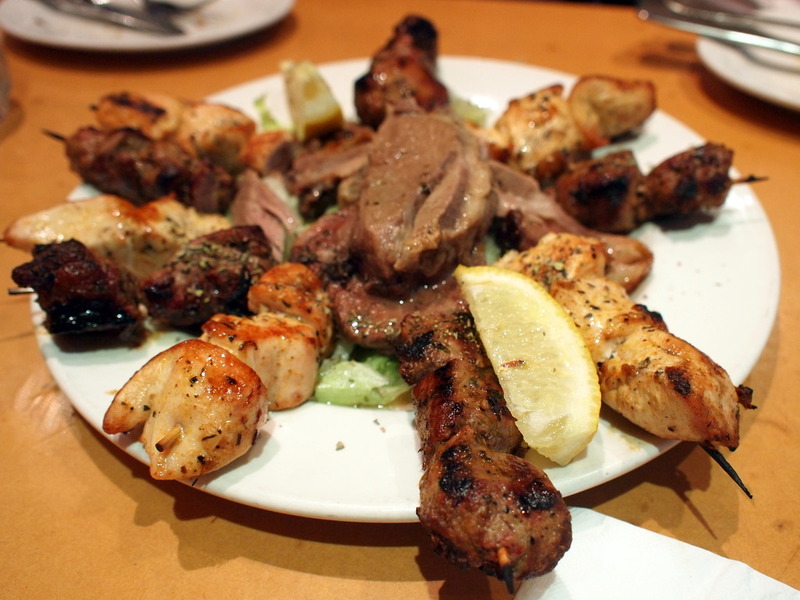 After the success of a recent work dinner at Aspro Ble, a few of the boys were craving another Greek Banquet. 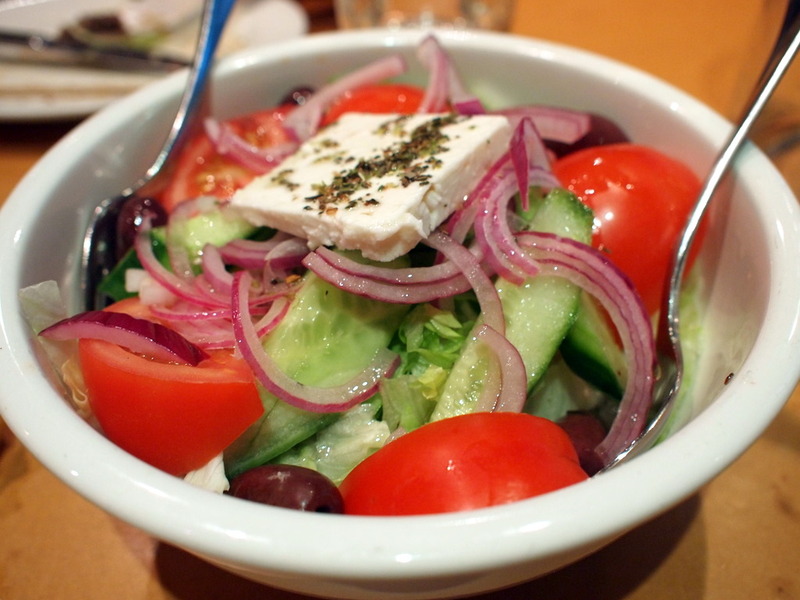 Not being ones to frequent the same joint twice on nights out, we eventually decided on Dion Greek Restaurant & Taverna. Situated in the middle of the Little Greek end of Lonsdale street (which is all lit up with shimmering blue lights during the night), I've walked past it many times yet have never peeked in. Upon arriving, we were promptly seated at a very long table. It would perhaps have been nicer to have a little more space, but that may be asking for too much considering the size of our group. Nevertheless, they were relatively accommodating to our various requests, including ordering separate vegetarian meals for the two vegetarians in our group. 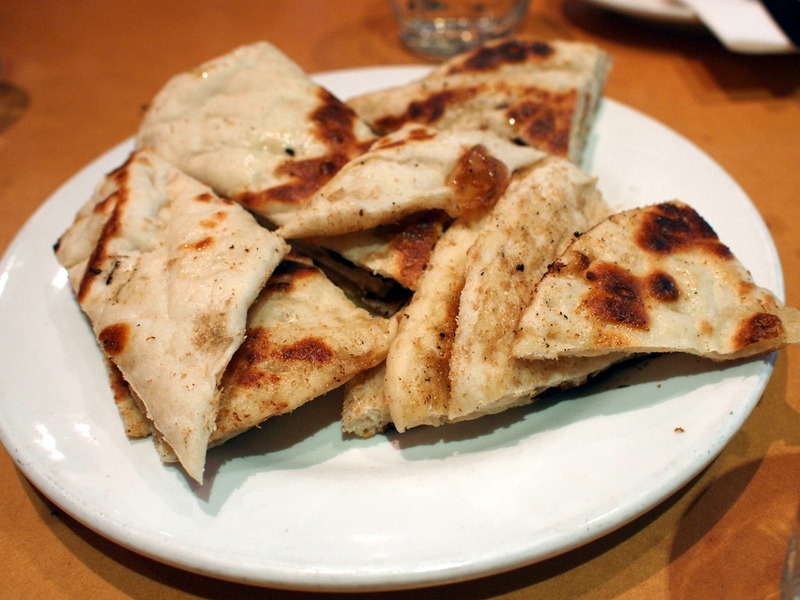 Up first on the food front was of course, the prerequisite dips and pita bread. 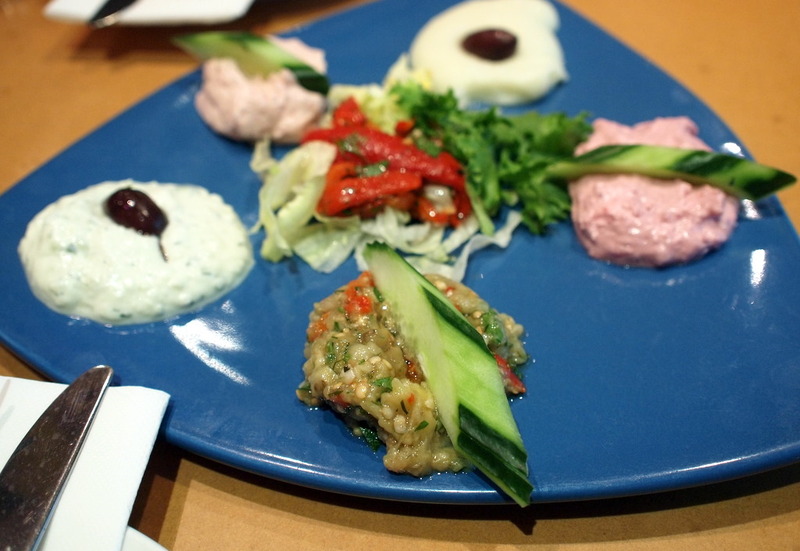 Nothing here was particularly impressive, and I've certainly had better dips elsewhere. Still, it's not like they were exactly disappointing so I won't fault them too much for that. The rest of the entrees came in a quick flurry of plates, including the delicately flavoured saganaki (grilled kefalograviera cheese, lemon & oregano dressing). Once again, I've had better versions of this dish elsewhere, and slowly, it appeared that this would be the tone for the rest of the night. The hard-to-pronounce Oktapothi Xithato (Marinated pickled octopus) and Loukanika (Char-grilled Greek spicy sausages) were both quite good. 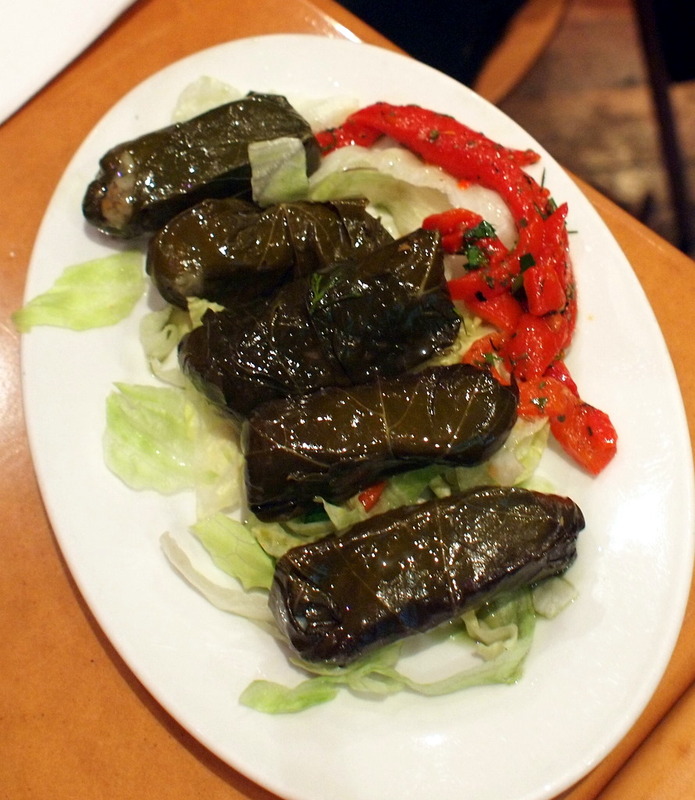 I didn't manage to try any of the Dolmades (Vine Leaves filled with rice & herbs). The first and only time I've ever had this dish was when a temporary housemate of Greek origin made it for us during a random Sunday cooking session, and I recall it being quite tasty. No-one at this dinner complained, so I'll take it that Dion's version was decent. The main seafood courses were then served. 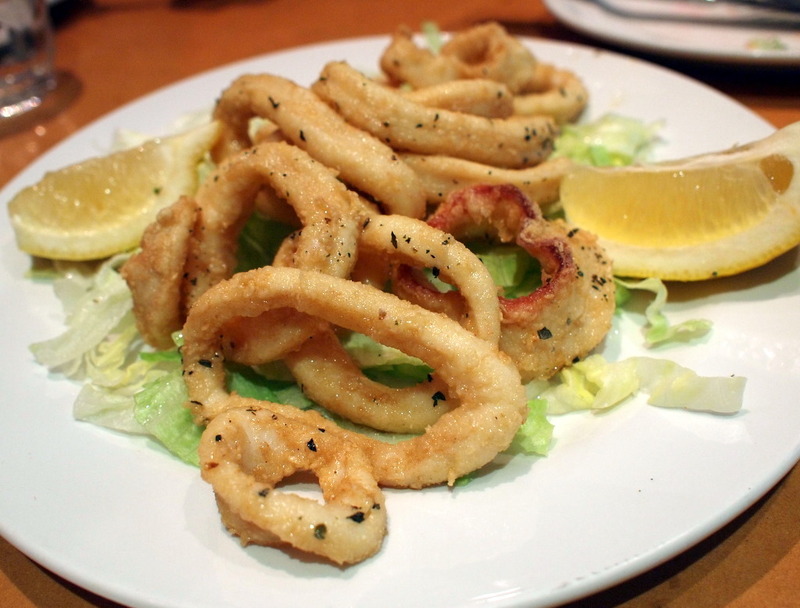 Up first was Kalamari, which, you guessed it, were pieces of deep-fried calamari with lemon & basil. Somewhat like the calamari that you would get a stock-standard fish & chips restaurant, I didn't particularly feel like eating much of this. 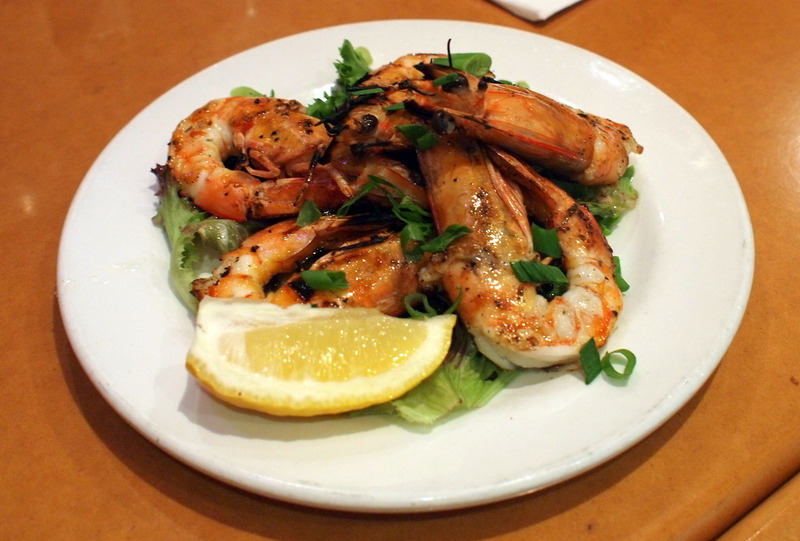 The second dish, Garides, consisting of char-grilled king size prawns with lemon, oregano & olive oil dressing was better. After a lengthy wait (is this typical of all Greek banquets?) the meat mains were served. While no-where near as enormous as Aspro Ble's offering, this was still quite a sizeable amount of meat. 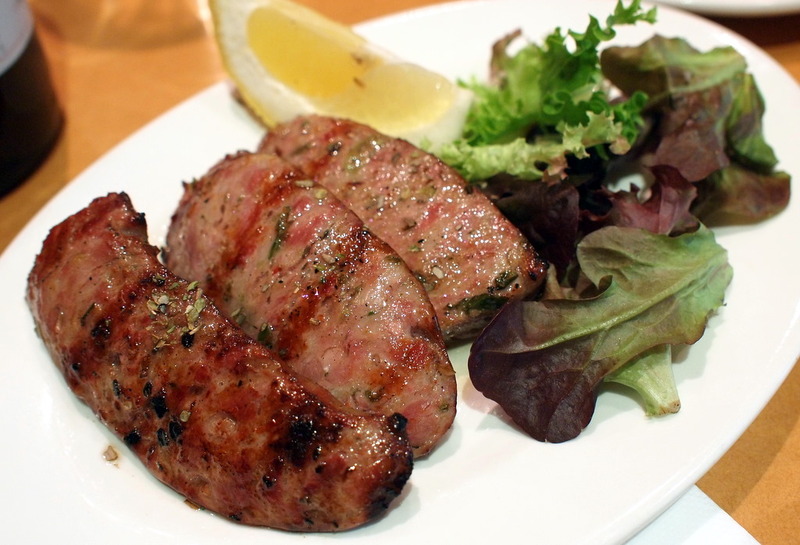 The lamb was tender and juicy, and the chicken was well-flavoured and while not exactly juicy, wasn't at all dry. 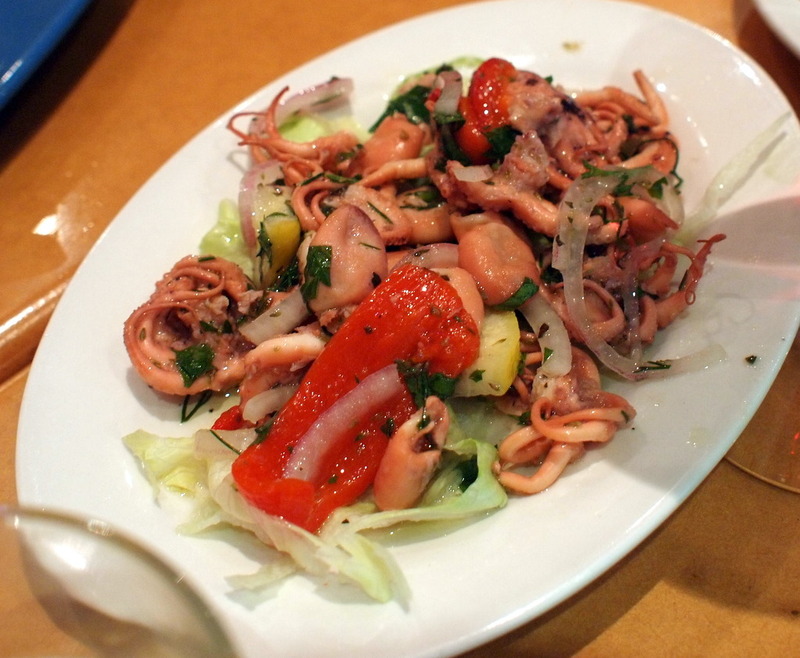 This was accompanied your standard Elleniki Salata (Greek Salad). My only comment is that the feta should perhaps be cut up into smaller pieces. 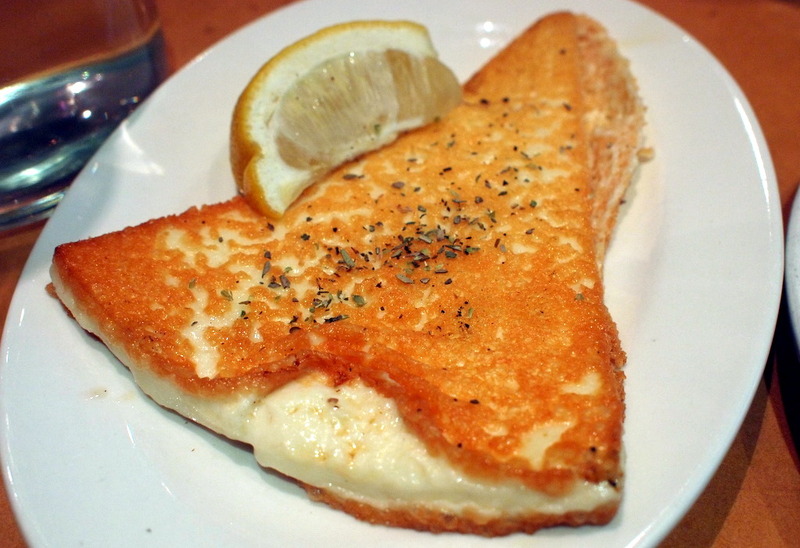 It was hard to split the cheese evenly between everyone, and after all that Saganki, no one particularly felt like a large piece of cheese anyway. 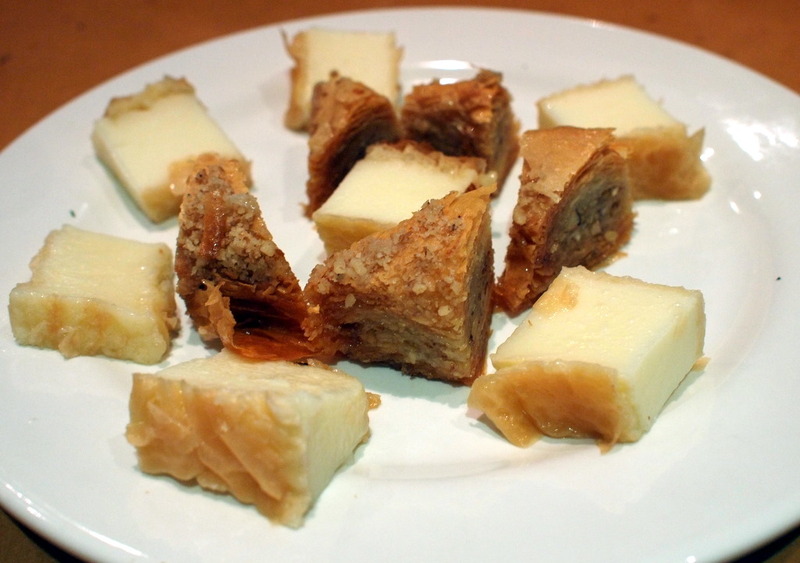 The meal was finished off with baklava and a curious custard-like concoction. Once again, this wasn't as impressive as other desserts I've had at Greek restaurants, but was probably a lot healthier for me. If anything, the portion sizes here are much better controlled than at Apsro Ble, so we left satisfying-ly full, rather than bursting at the seams. A much nicer physical feeling, but unfortunately the food wasn't as well done. Not the greatest restaurant, but definitely not the worst either. You win some and you lose some - that's just life.